TK Read is writer, a practicing attorney, a painter of people, lover of books, mother of three, and juggler of dreams. 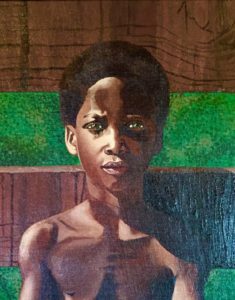 She has won awards for her painting and excels at portraiture and archaeological works. TK started painting in high school when she wasn’t satisfied with the colors she could achieve in pencil. 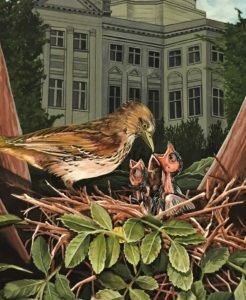 Her painting really took off after a running injury kept her confined for an extended period of time. 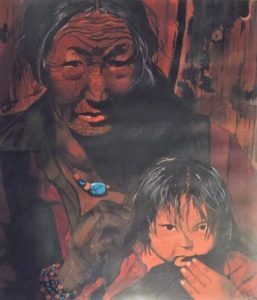 She has won awards for her painting and excels at portraiture and archaeological works. 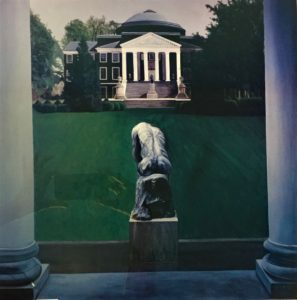 She has painted commissioned portraits of a law school dean and other notaries. 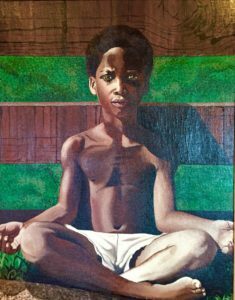 Contact her at tk@tkread.com for more information about commissioning a painting. Please note, prices vary depending on size and complexity of subject matter. 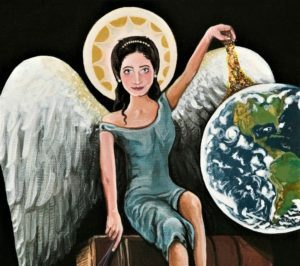 Her base commission is $5,000.00 per piece based on a four – eight week turn-around, again depending on size and complexity. Poolside Siddhartha: Poolside Siddhartha celebrates the wisdom and nobility of children. 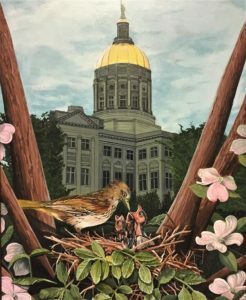 Georgia Capital with Thrasher: This painting celebrates the State of Georgia’s beautiful gold domed capital, and it’s state bird, the Brown Thrasher. 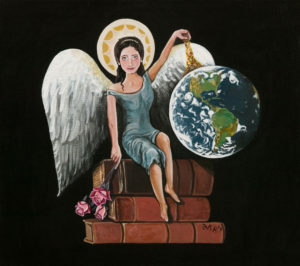 Guardian of Knowledge: This is painting of an imaginary guardian or angel who stands guard over knowledge and learning.